Chaim Yedidiah Theophilus Lucky was born in 1854 near Stanislau in Galicia. 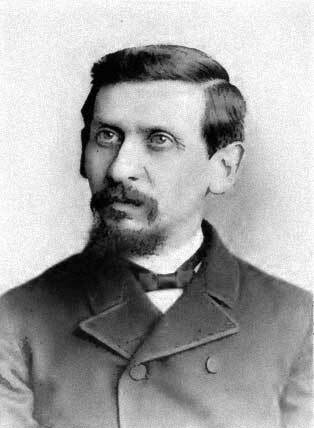 He came to faith while he was studying in Berlin in the mid-1870s while studying Delitzsch’s Hebrew translation. He was in the USA for some years during the 1880s where he served as co-editor of the English periodical The Peculiar People and editor of the all-Hebrew Eduth le Israel (Testimony to Israel) before settling in Stanislau in Galicia. In 1916 he sets off for the USA in order to renew his citizenship there. He led a movement of orthodox Jewish believers. Edut LeYisrael was a Christian Jewish journal edited by Theophilus Lucky and published both in the USA and Eastern Europe. It was one of the first Hebrew periodicals published in America. The is the first and only issue of The Messianic Jew published in 1910 in Johannesburg, South Africa. Theophilus Lucky was one of the contributors. The Peculiar People was an English language Christian Jewish periodical that was co-edited by Theophilus Lucky and published in the USA.